I can't believe how badly the back of this unit looks after an hour or so of casual periodic use. I have never seen a phone look this badly. 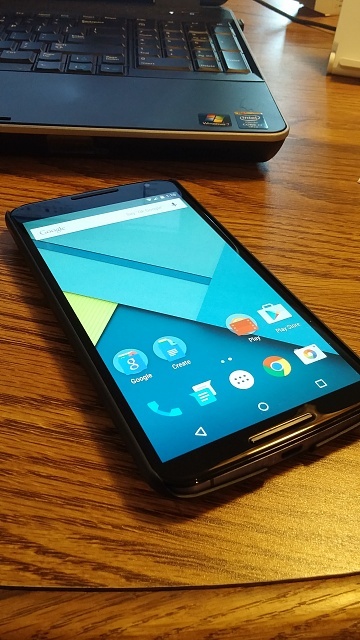 I assume the Moto X 2014 looks the same, but what a shame for a "high-end" device to have this problem. And I have clean hands, I probably was them too much! Oh yeah it's pretty awful, and now I'm a little worried putting on a case. Just tested speaker phone and on the other end my mother said it was flawless. Hoping a case won't block the microphone in the camera from picking up sound! Does seem to be a fingerprint magnet and a little slippery with the metal sides. Picked up a Spigen slim fit case, which adds hardly anything to the size and has a bit more grip to it than the original back. Also makes the side buttons less easy to accidentally push. It's the LG WCD-100 Qi Wireless Charger. 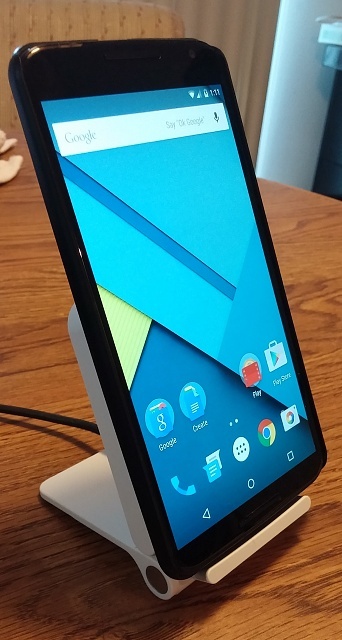 Works great with the Nexus 6. Just plop the phone down on the little ledge and it starts charging. Folds up too for portability. 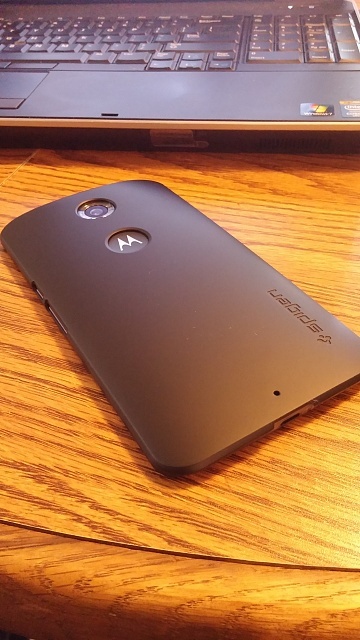 I assume the Moto X 2014 looks the same..
Bamboo back Moto X is fingerprint free! How do I remove smudges on my back cover of the Nexus 6?